The Flexible Ball For Younger Players! Safer and softer than ordinary plastic softballs. Super flexible plastic compresses on impact. 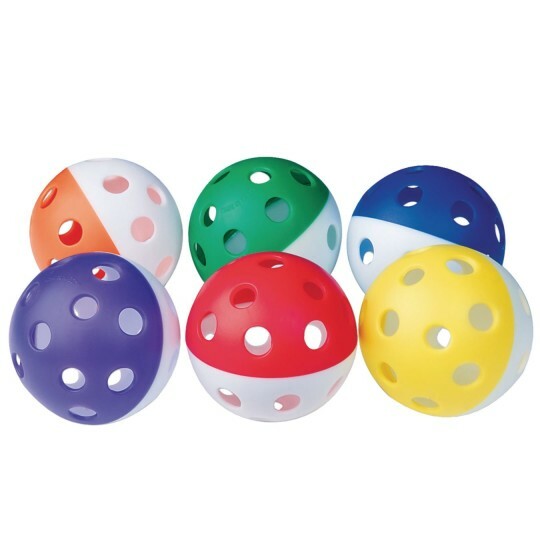 Limited flight balls are specially designed for indoor play! Hits are absorbed without damage for extra durability. The better ball for younger players! Flexi-Flite softballs are safer, softer and more resilient than traditional plastic softballs because they're made of a super flexible plastic that compresses on impact. They absorb hits without damage and don't fly as far, so kids of all ages can play - especially indoors! Includes a set of 6 two-tone softball-sized balls (about 3.6" diameter), one in each Spectrum™ color. 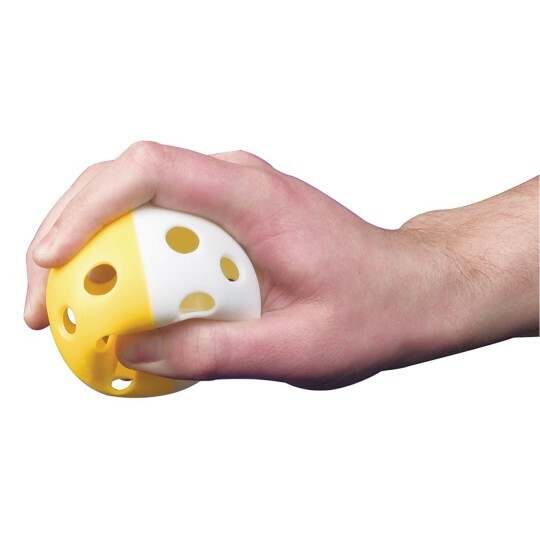 Great for throwing catching or even hitting.